The award comes in recognition of CaixaBank's leadership and growth strategy, as well as its solvency, strength, technological innovation, service quality and ongoing commitment to the community. CaixaBank, the leading force in Spanish banking by market share, has been named by the British magazine Euromoneyas the Best Bank in Spain' 2015. This is the third time that CaixaBank has achieved this feat, having also won the accolade in 2012 and 2013. Euromoney lauded CaixaBank's leadership in the Spanish market, its prudent financial management and profitable growth strategy, founded on powerful technological capabilities and innovation. The awards ceremony, held last night in London, was attended by representatives from the world's foremost banks. Euromoney Magazine applauded CaixaBank's active role in consolidation of the Spanish financial market via incorporations. The most recent such operation came in the first half of this year, with the acquisition of Barclays' retail, asset management and corporate banking operations in Spain. The British magazine also acknowledged the bank's outstanding solvency levels, among the 10 best in the Eurozone, with a CET 1 ratio of 12.1% in March 2015. CaixaBank currently serves 14 million customers (600,000 more than in December of last year), with 5,400 branches and assets worth 356 billion euros. 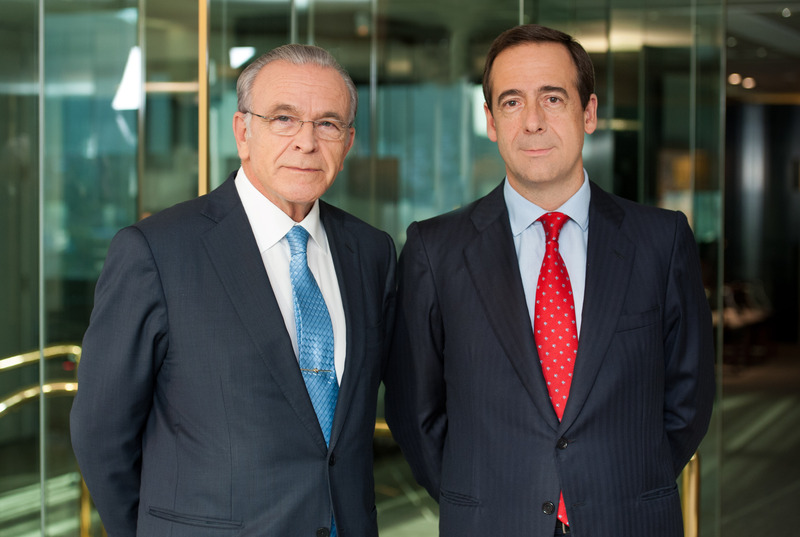 CaixaBank's Chairman, Isidro Fainé, called the award "an incentive to continue our shrewd, far-sighted, professional and responsible approach, seeking to provide the finest possible service to our customers, whose trust has made us deserving of this award." Meanwhile, the CEO of CaixaBank, Gonzalo Gortázar, said "CaixaBank is capitalising on its robust innovation capabilities to sustain its leadership in the Spanish market, thus driving the digitisation of banking and offering services that combine multichannel banking and mobility with new sales and management tools". Euromoney Magazine also praised CaixaBank's efforts to harness innovation and technology in order to improve service quality. Success in this field also saw the bank win the World's best bank in technological innovation' award in 2013 and 2014 from the same British magazine. CaixaBank approaches innovation as an opportunity to drive service quality and sustain its commitment to continuous improvement. Said technological innovation, coupled with financial foresight, has proven to be a major distinguishing hallmark of the bank, securing its leading position in the industry. All without neglecting CaixaBank's founding values and firm social commitment, a dedication that it shares with its majority shareholder, the "la Caixa" Banking Foundation, Europe's largest foundation and the third biggest in the world with an annual budget of 500 million euros. The Euromoney Awards for Excellence are among the most prestigious in the financial industry. Euromoney reserves the title of Best Bank for financial institutions that have "exhibited leadership, innovation and provided impetus in their key markets." Euromoney is a London-based financial magazine that is highly influential in capital markets. Founded in 1969, it is globally recognised as a publication specialising in international banking and finance news. It has a readership of over 145,000, including major global figures in the worlds of finance, business and government.